PENCILLER: Salvador Larroca. Cover by Mark Brooks. This is the first issue of Darth Vader where Salvador Larroca’s art has disappointed me. That’s really saying something, as his art has been tremendous up to this point, and a huge factor in getting me to come back month after month. Continuing the big Vader Down crossover, this issue finds the Dark Lord face-to-face with Princess Leia, as Rebel forces continue to hunt the stranded Sith. But they aren’t the only ones hunting. Vader’s obsession with finding Luke Skywalker has driven him to face the Rebels head on. And he’s winning. When an artist is working on a Star Wars book, it’s stands to reason that they’ll study the movies, and perhaps even work off of stills or screen caps to depict the characters. That’s likely how Larroca has been able to get the Darth Vader mask down so well. As we see in this issue, he also draws a hell of a C-3PO. 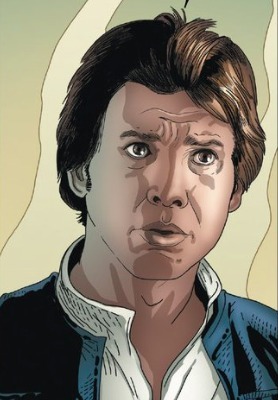 But when it comes to drawing Luke, Han, and Leia, it’s evident Larroca is working off of specific moments from the movies, and it takes you out of the book. He changes certain things to he’s not blatantly pulling things from them, but they’re similar enough that you notice. I don’t so much oppose this practice. I just wish Larroca had made it a little less obvious. I pulled some images to illustrate. This first one took me out of the issue entirely. 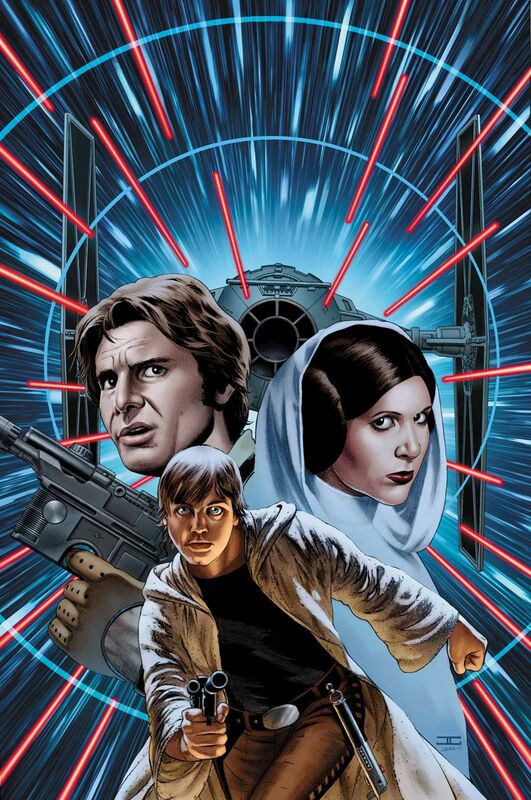 I have an issue with the way Luke’s hands are positioned on Mark Brooks’ cover. Typically, when someone is holding a lightsaber, their hands are together so they can have a strong hold, but also so their wrists can have an optimal range of motion. As much of a nit pick as this may be, I don’t like how Luke’s hands are spread apart. 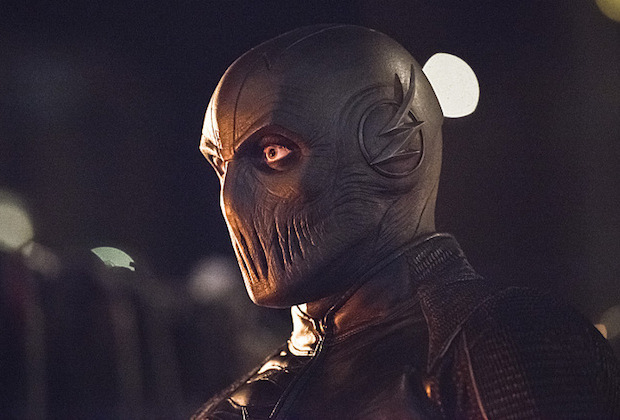 We’re so used to seeing them together that it makes the image look awkward. Vader Down is having its share of fun being a crossover. 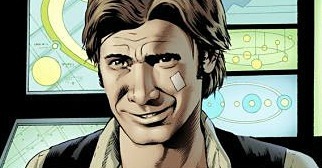 We’ve already seen Han Solo match wits with Doctor Aphra, which was really entertaining. This issue sees Triple-Zero cross paths with C-3PO, in a meeting that pretty much goes how you’d imagine. Our old friend Krrsantan even pops in. That gives us an amusing moment where Han thinks the bounty hunter is looking to collect Jabba the Hutt’s bounty on him. But as we know from earlier issues, he’s actually after Luke. Based on the cover for Star Wars #14 (the next installment in Vader Down), this Krrsantan’s involvement could lead to a pretty cool fight. Not surprisingly, the star of the issue is Leia. 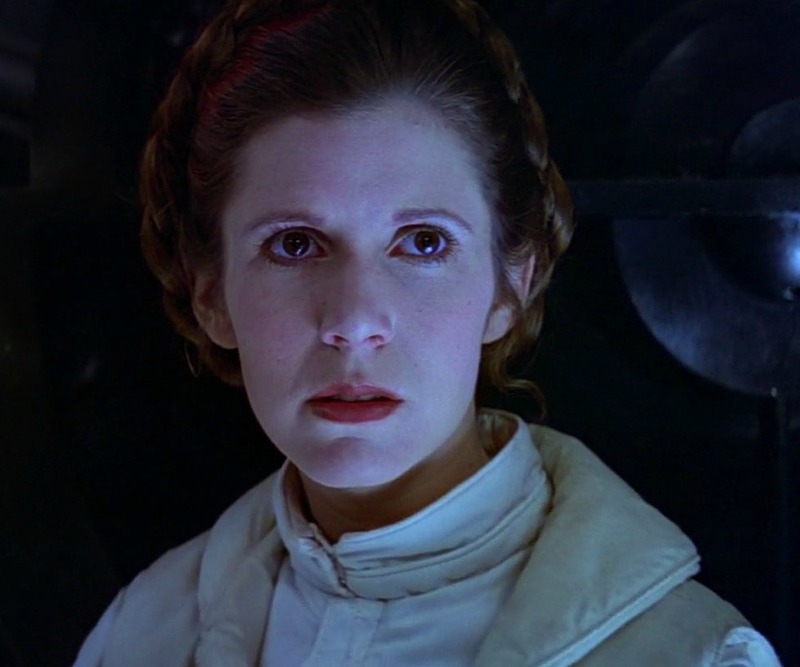 When confronted by Darth Vader, a helpless and undoubtedly terrified Leia stands her moral ground. 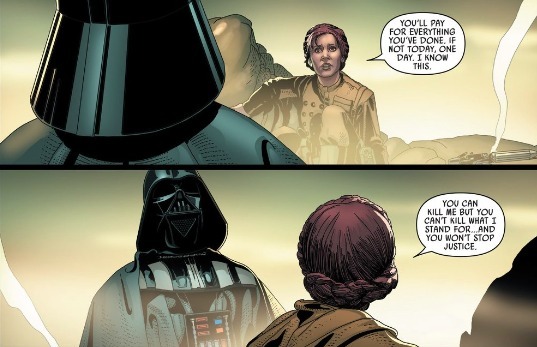 In the highlight of the issue (shown left), she tells Vader that he’ll pay for what he’s done, and that he can kill her, but not what she stands for. It’s a terrific character moment, as we’ve come to expect from Kieron Gillen. Later, we learn just how far Leia is willing to go to eliminate Darth Vader. 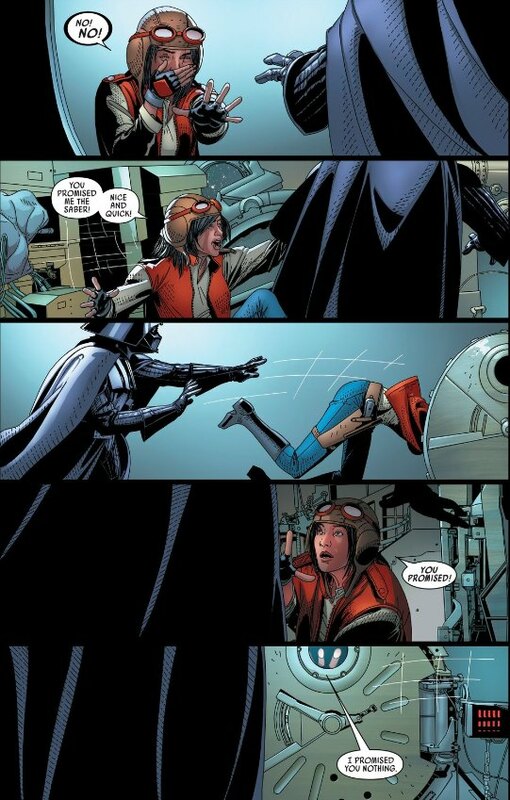 It’s such an extreme that Luke and Han actually try to stop her, even if that means Vader survives. Vader Down has been a fairly worthwhile crossover, with fresh character interactions, and a central story that holds it all together. Darth Vader #14 is hardly the story’s best chapter. It has artistic flaws, and Vader himself doesn’t do much. 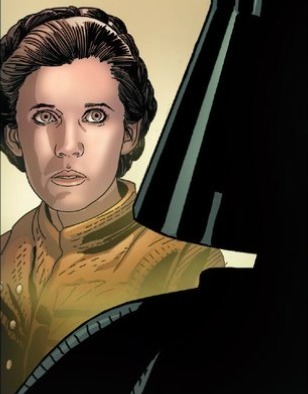 But it gave Leia an awesome character moment, and offers a bridge to what will hopefully be a strong next chapter. So while this is unquestionably one of Gillen and Larroca’s less successful outings, in the context of the Vader Down story, it’s still a worthwhile read. For more Star Wars, check out our review of Star Wars: The Force Awakens. Issues images from author’s collection. Screencaps from starwarsscreencaps.com. This entry was posted in Comic Books/Graphic Novels and tagged C-3PO, comic book crossovers, Darth Vader #14 (2015), Darth Vader (Marvel Series), Han Solo, Kieron Gillen, lightsaber, Luke Skywalker, Mark Brooks, Marvel, Princess Leia, Rob Siebert, Salvador Larroca, Star Wars, Star Wars comics, Star Wars: Episode V - The Empire Strikes Back, Star Wars: Vader Down, Triple-Zero on 12/27/2015 by primaryignition. Need to catch up? 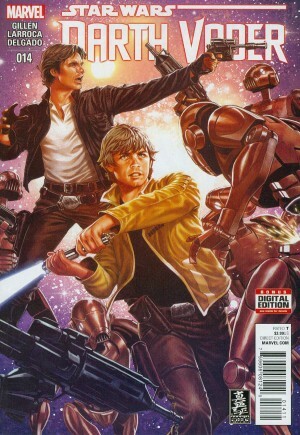 Check out Star Wars #4. Luke said that about Tatooine in the original Star Wars movie, of course. 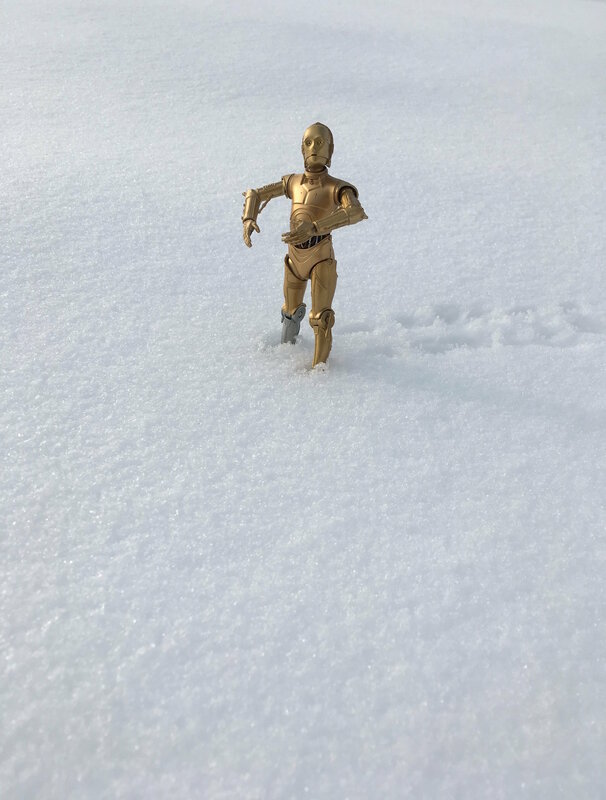 But it turns out you can go home again, and not just to rescue your buddy from Jabba the Hutt. Sometimes you’re looking for answers. Star Wars #5 brings Luke Skywalker back to Tatooine, hoping to find clues on which path to take next. But our hero is gravely unaware that Darth Vader has sent one of the galaxy’s most notorious bounty hunters after the young pilot that destroyed the Death Star. 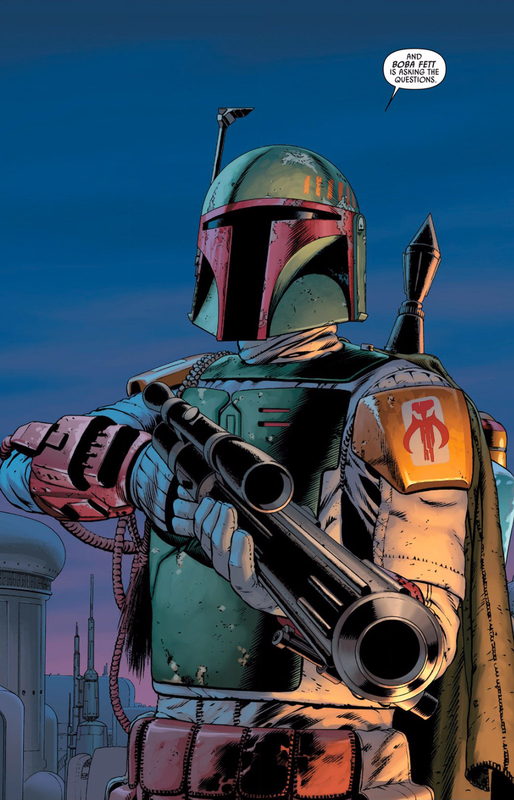 Boba Fett is on Tatooine, and he’s coming for Luke. This issue is actually a reminder of how sucky it was when they redid Fett’s voice for the Empire Strikes Back DVD. Jason Wingreen had a gravelly, malice-filled, Clint Eastwood-type voice that was perfect for the character. Temuera Morrison had an accent. That’s about it. I’ve also come to respect the way Aaron writes Luke Skywalker. In this issue, as well as the previous one, Aaron has captured the spirit of that young man who met Yoda in Empire. 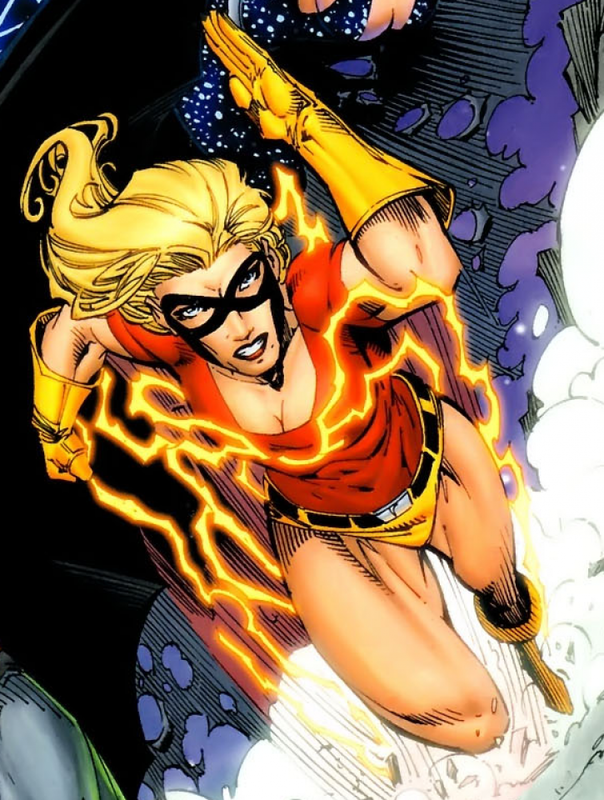 He’s impatient, impulsive, reckless, and as we saw last issue, immensely frustrated at times. But we still see traces of a great hero and a brave leader. As such, Luke is pretty easy to root for here. Han then kicks over Leia’s sandcastle, prompting her to plop down and cry. 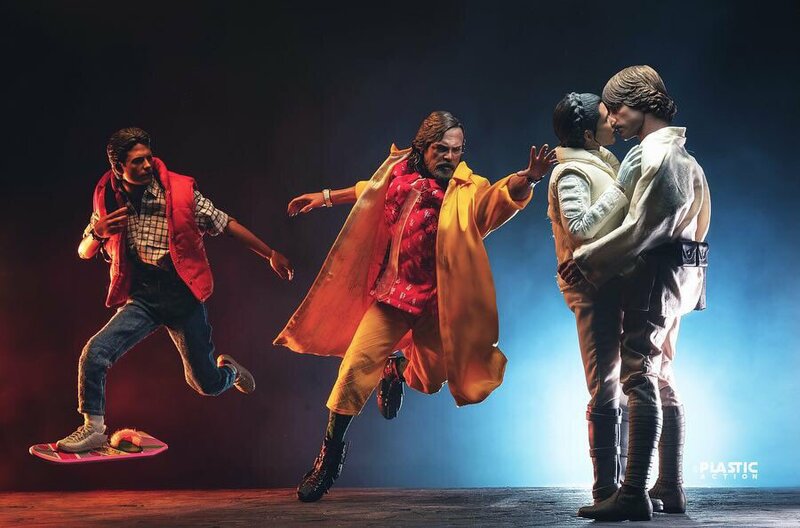 I’m a fan of Han and Leia being next to each other in this series, but the dynamic in their whole love/hate relationship shouldn’t be this stripped down. That’s part of the fun of the whole thing! They dance around it, and then when they finally get close to it, something happens to spoil the moment. C’mon, Jason. Let’s not turn science fantasy’s greatest romance into an episode of Rugrats. 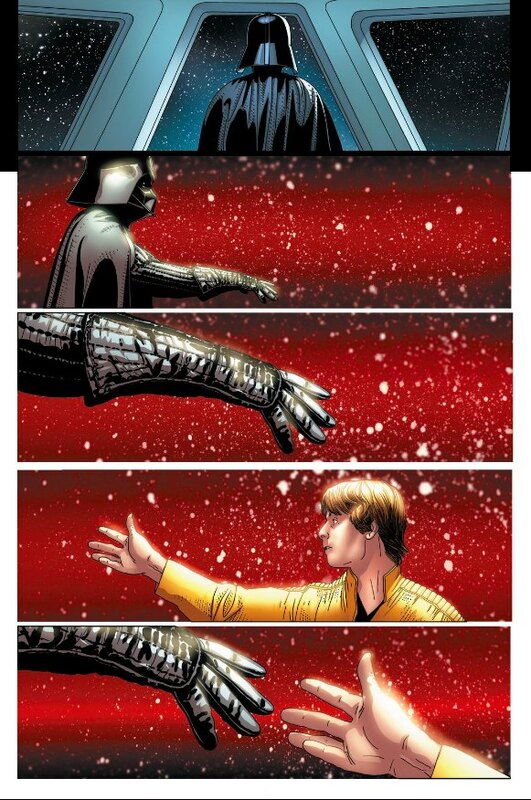 This is the penultimate issue of John Cassaday’s run on Star Wars, which is a shame. This hasn’t been his best work, but he’s given us some memorable stuff. Not the least of which was the awesome pin up from last issue (shown left). Naturally, as the issues have gone on he seems to have found his groove in the Star Wars universe. He’s able to tap into the classic Star Wars characterizations strictly with his art. 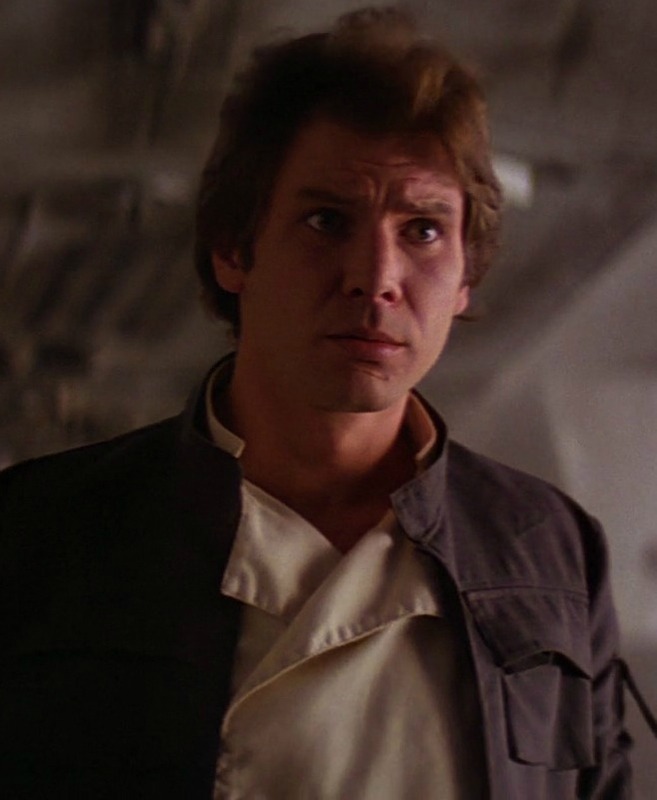 Case in point, the way he plays with Han Solo’s acting here (shown above). Boba Fett’s body language is also perfectly on point. There are also some little things, like the texture he gives to the robes Luke and the sand people are wearing, and the cracks on the outside of Obi-Wan’s hut. It all lends itself well to the “used universe” concept George Lucas was going for in that first movie. I’ll be sticking with Star Wars through issue #7 at least, just to see what new penciller Stuart Immonen brings to the table. 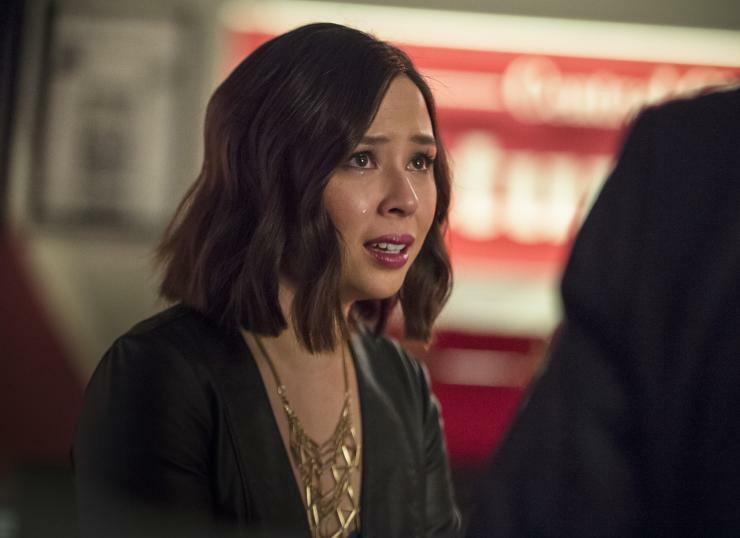 This series started off on a sour note, but it’s gradually been picking up in quality. I maintain what I’ve said previously, however. 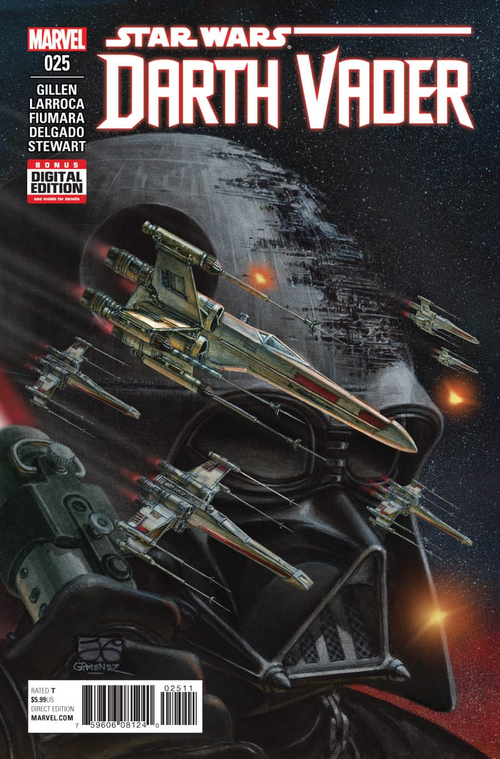 If you’re looking for great Star Wars comics, Darth Vader is the place to be. Images 1 and 2 from author’s collection. Image 3 from comicvine.com. This entry was posted in Comic Books/Graphic Novels and tagged Boba Fett, comic book reviews, comic books, Darth Vader (Marvel Series), George Lucas, Han Solo, Jason Aaron, Jason Wingreen, John Cassaday, Luke Skywalker, Marvel, Mos Eisley Cantina, Obi-Wan Kenobi, Princess Leia, Rob Siebert, Rugrats, single issue reviews, Star Wars, Star Wars #5 (2015), Star Wars #7 review, Star Wars (Marvel Series), Star Wars: Episode IV - A New Hope, Star Wars: Episode V - The Empire Strikes Back, Star Wars: Episode VI - Return of the Jedi, Stuart Immonen, Tatooine, Temuera Morrison, Tusken Raiders on 05/22/2015 by primaryignition.